I pray Dear Lord that my husband will find a job that gives him peace and not all in knots from the work place. And he will work in a healthy atmosphere and one he is happy to go to work and not have a pit in his stomach when he thinks about work. A Godly atmosphere where he can be a Christian and have fellowship on his breaks. 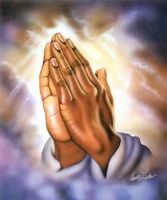 Please Lord deliver my husband from the work place he is in now to a healthier and happier place. Thank you God. Amen.